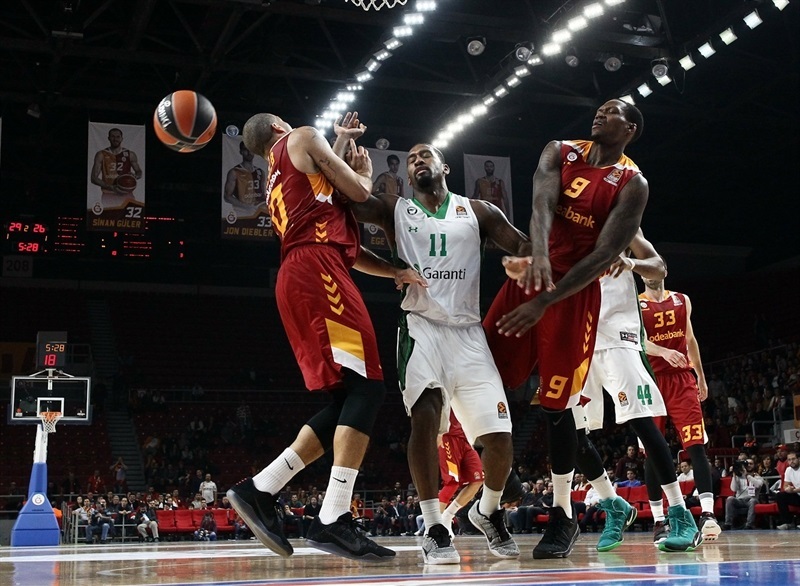 Galatasaray Odeabank Istanbul scored an impressive 81-85 victory over Darussafaka Dogus Istanbul on Friday at Abdi Ipekci Arena despite playing without two of its point guards. 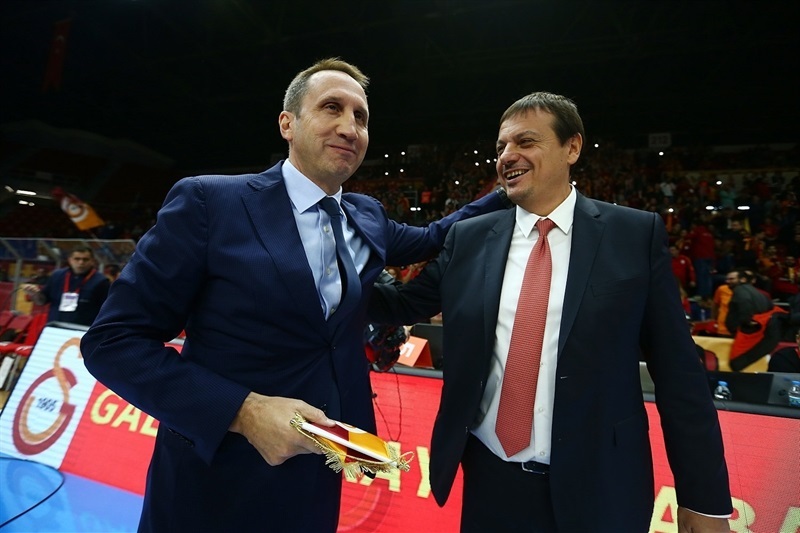 The EuroCup champion relied on outstanding performances from Tibor Pleiss and Emir Preldzic to improve to 2-6, while handing Darussafaka its first road loss and dropping Coach David Blatt’s side to 5-3. Pleiss erupted for 22 points, 8 rebounds and 3 blocks and Preldzic handled extended playmaking duties because Justin Dentmon and Russ Smith were out and responded with17 points, 6 assists and 4 steals. 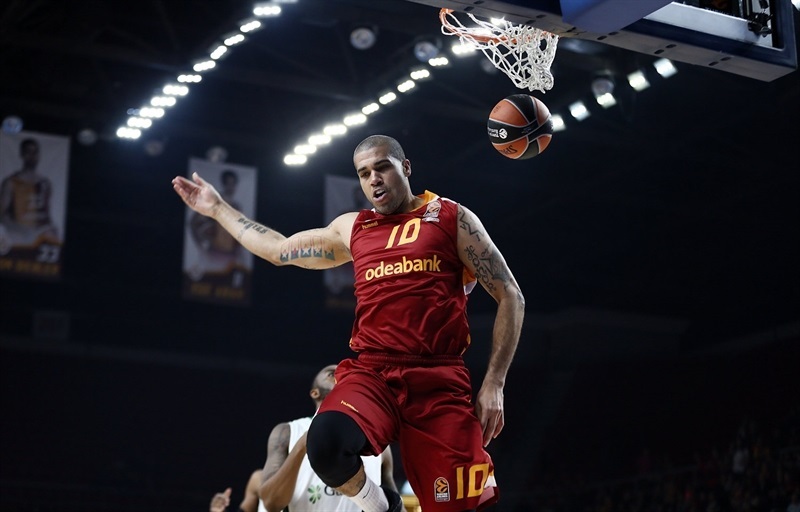 Vladimir Micov added 16 points and 6 assists for the winners. 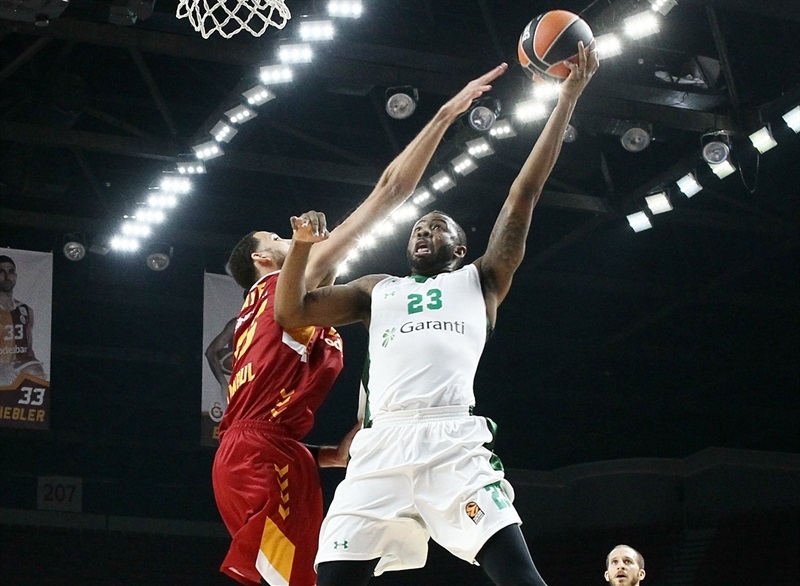 Will Clyburn paced the Darussafaka attack with 20 points, James Anderson tallied 15 points and 7 rebounds and Scottie Wilbekin added 14 points. 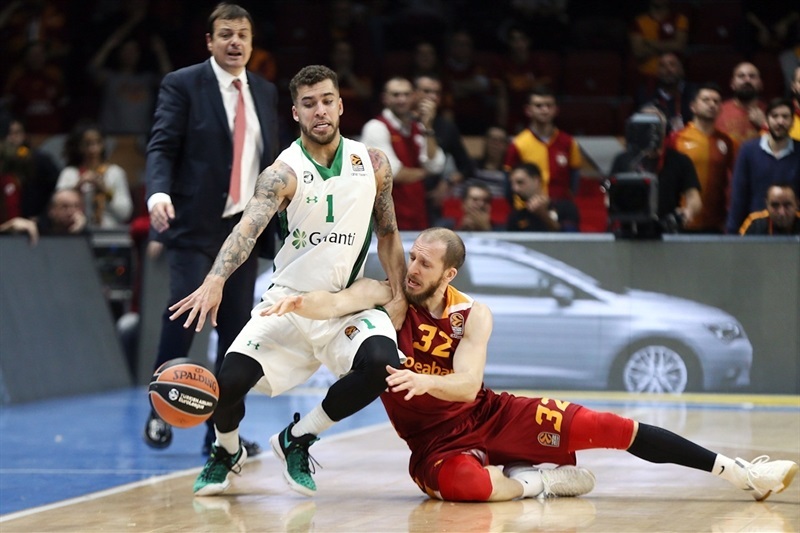 Galatasaray dished 25 assists as a team, which was 11 more than the visitors and only committed 6 turnovers, while Darussafaka had 13. Pleiss made an early impact with 8 points and a blocked shot in a 10-5 start for the hosts. 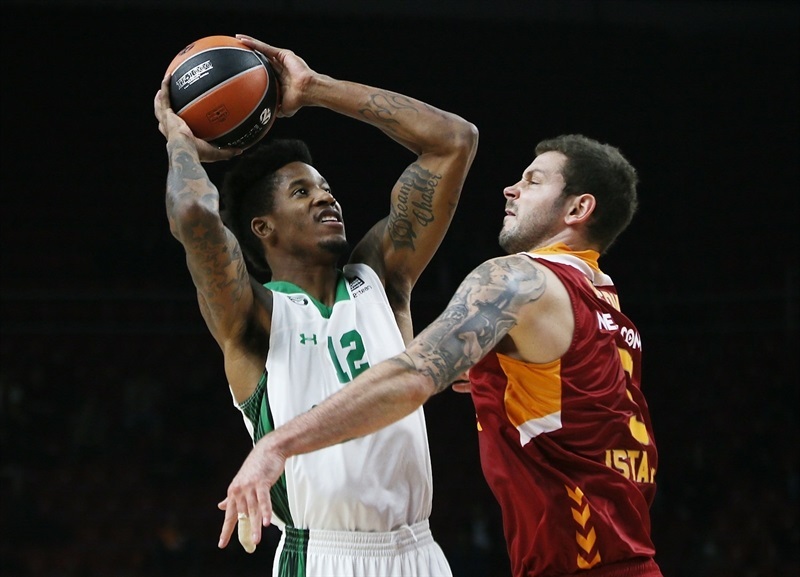 Darussafaka stayed close, tied it at 15-15 on a three-pointer by Dairis Bertans and then took the lead on a triple by Clyburn. Wilbekin added another triple to make it 17-21 after 10 minutes. 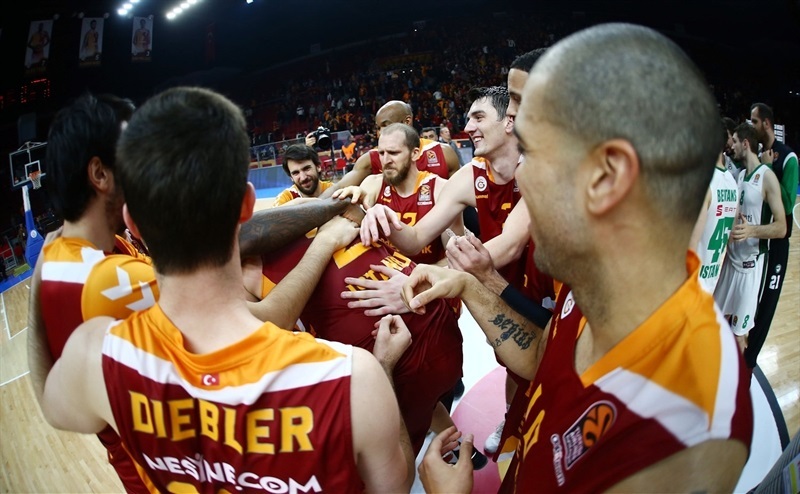 Micov scored 5 points and Preldzic dished 3 assists in a 9-0 Galatasaray run that put the home side up 29-26. The lead changed hands a few more times and – after a fantastic layup on the buzzer by Blake Schilb – the teams went into halftime with Darussafaka leading 37-38. 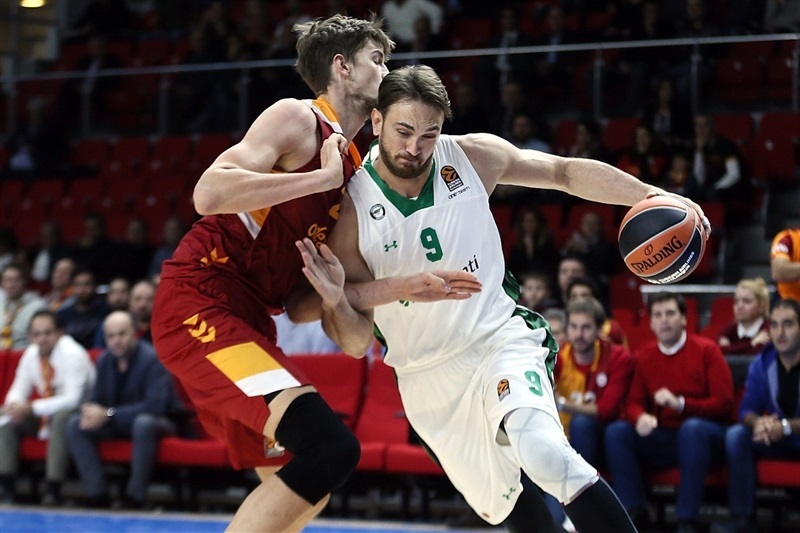 Galatasaray took control early in the third quarter as Preldzic drained a pair of threes and drew an offensive foul in an 11-0 run that made it 50-41. 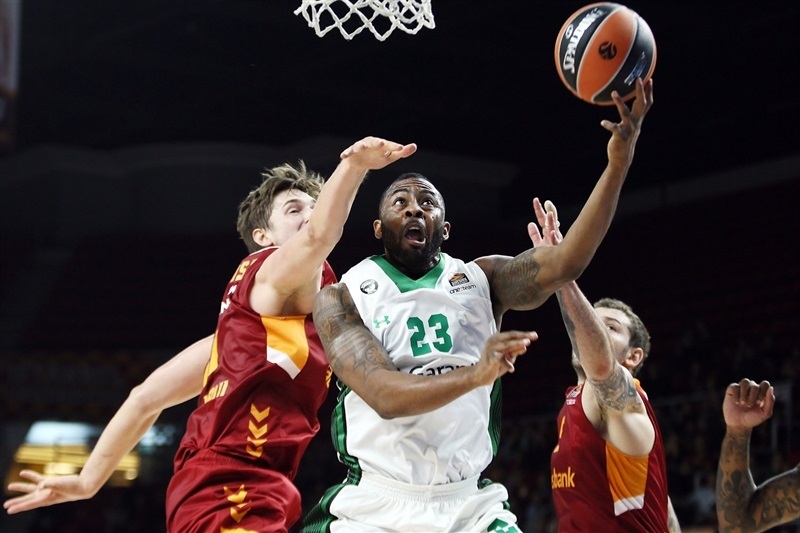 Darussafaka regained its composure, but had no answer for Pleiss, who scored baskets on three straight possessions to give his team a double-digit lead. 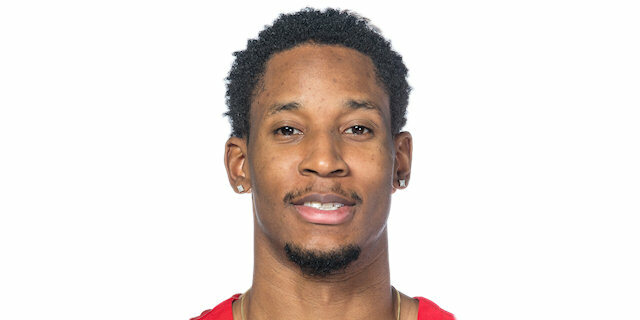 Jon Diebler drained a triple to extend the difference to 61-48 before Marcus Slaughter’s layup put 65-55 on the scoreboard after three quarters. 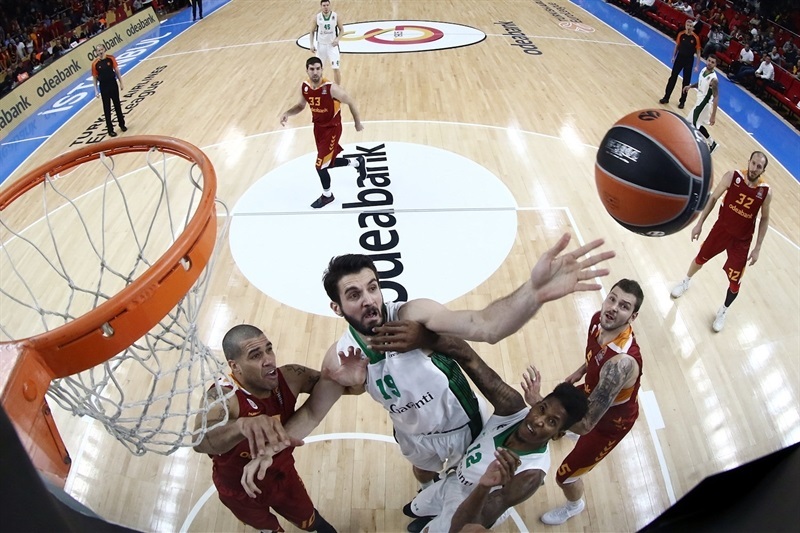 Darussafaka rallied to within 4, twice, but Pleiss scored again, blocked a shot and soon the difference had grown to 77-68 with four minutes remaining. 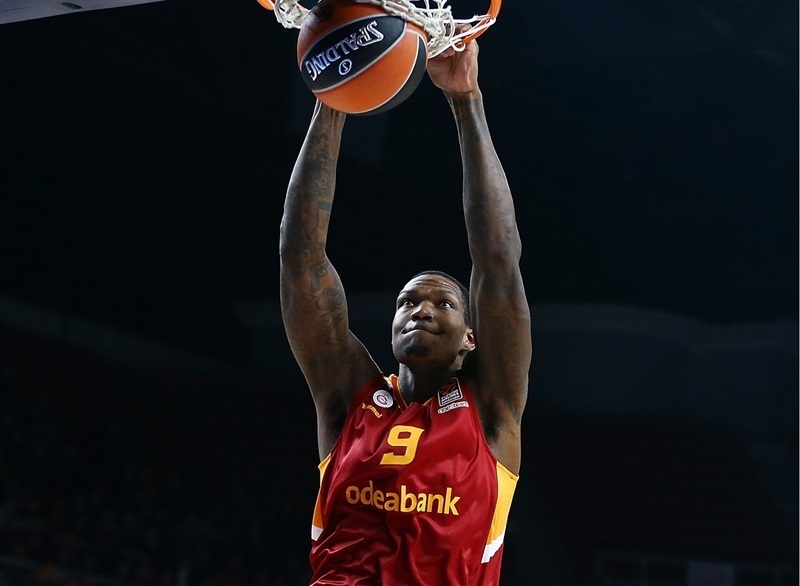 A Preldzic-to-Pleiss alley-oop all but put the game out of reach at 81-70 with less than two minutes to go as the Galatasaray faithful celebrated in the stands. "This is more than a win. My players sent good messages tonight. They showed Galatasaray never takes a step back. Basketball is a team sport and my players totally showed it. We couldn't utilize some players, but Emir and Tibor contributed well. 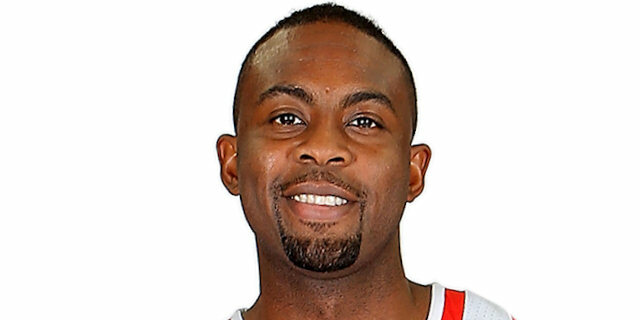 Our defense was actually Darussafa's defense that they use in EuroLeague games. We used this and surprised them. In the end we were successful. We are in this competition, too." "We played great in the second half. Great hustle, great defense. We used switching man to man and we stopped Darussafaka’s pick-and-roll. 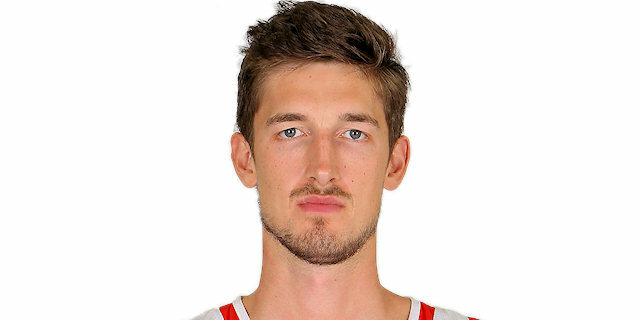 Tibor Pleiss closed very well the paint on defense. Tonight he did a great job and also we used really well on the low-post our three-man Preldzic against Wanamaker and Wilbekin. We should have won this game by more than 10 points. It’s incredible. We missed 5 free throws in the last 30 seconds. Three incredible three-point shots by Darussafaka Dogus. Finally we won the game by 4. But tonight we played incredible basketball. 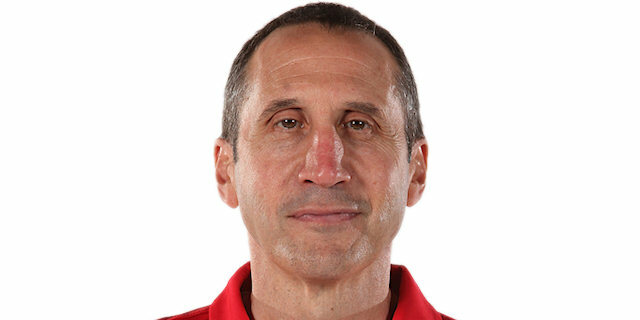 I very proud of my players for their incredible hustle." 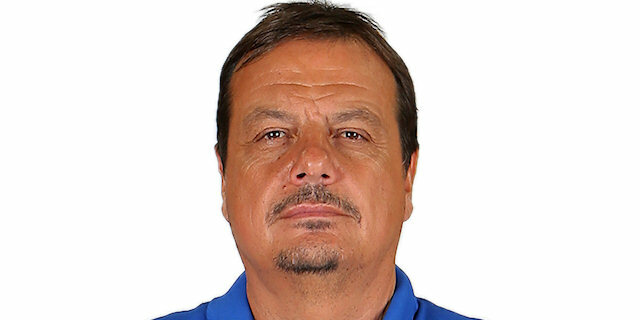 "Congratulations to Galatasaray. They played a good basketball game. We didn't. And that explains the result. Pretty simple. We made a lot of unforced errors that cost us points on the offensive end and generally led to easy baskets for them. And in the second half, we never really found our rhythhm. In the first half, we certainly were playing a pretty decent brand of basketball. That's it. No excuses. Didn't play a good game." "We played hard, we played tough tonight. We played as a team. That’s a good Darussafaka team. Tonight we did a really good job of playing together and fighting on the court. We had a lead. They came back at the end and made some tough shots. It’s a good win for us." "We fought really hard from the beginning, we played together, we passed the ball and got some easy points. We played great today and I think deserved to win the game. These fans are pushing us and giving us a lot of energy. I have to say thank you to the fans. "